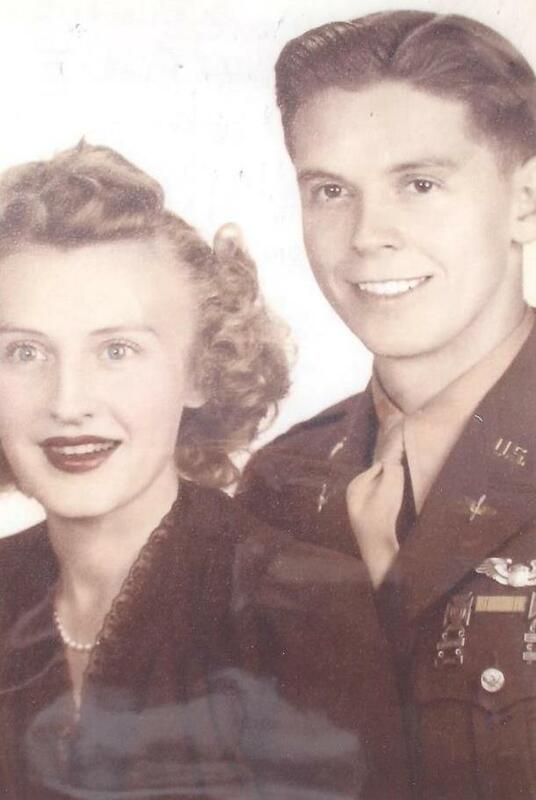 William G. Rueckert (service Number: 0 -420521) was born September 9th 1920, in Moline, Illinois. At school, he became a model student, achieving high grades throughout his school life. Upon leaving, he won a place at Illinois University where he wanted to study Law. Rueckert had a passion for reading, particularly the classics like Shakespeare and Proust and was known for his hard work and dedication. It was at University that he met, on a blind date, he wife to be ‘Dee’. The meeting almost never took place due to a faulty car, but as a lover of dancing, they turned out to be the perfect match and his lateness was forgiven. Inseparable as a couple, Rueckert and Dee were married only a year later, in 1940, when Rueckert was just 19 years old. Rueckert’s life then changed and he joined the USAAC. As a trainee pilot, he moved from New York, to California and then onto New Mexico where he gained the qualification of Pilot instructor on October 28th 1943. Whilst flying here at New Mexico, the plane Rueckert was in, a B-24, collided with a small training aircraft killing its pilot. Rueckert managed to land his own B-24 and following his actions, was credited with saving the lives of the crewmen on board. Finally, the draw of the war led Rueckert to requesting a post overseas. He was sent to RAF Hardwick, Norfolk to join the 409th BS, 93rd BG, 20th Combat Wing, Eighth Airforce, in April 1944. 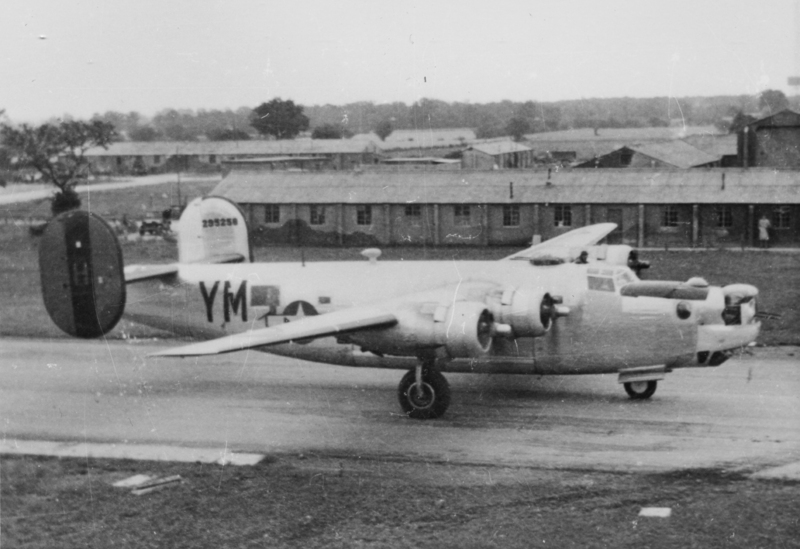 Formed only two years earlier on 22nd April 1942, the 409th was to be Rueckert’s only operational squadron. Having won three DUCs already for operations over Europe including; the raid on the Romanian oil fields at Ploesti, and the enormous raid of February 1944 ‘Big Week’, the 93rd were a battle hardened group. “Ted’s Flying Circus” as they were to be known, took part in the preparations for D-Day, completing much of their bombing missions over the Normandy area, cutting supply lines and communication routes across France. Rueckert’s first and only mission, was on May 1st 1944. It was to be a night flight. He joined his best friend along with his assigned pilot Second Lieutenant Albert Schreiner (0-805532) on B-24 ‘Joy Ride’ #42-7621, leaving his regular crew behind at Hardwick. The aircraft, began its roll down the runway, as it neared the take off point, it is thought the undercarriage collapsed causing a catastrophic crash in which 7 bombs exploded. The aircraft was completely destroyed and five of the crew killed including the pilot and Lt. Rueckert. The crash was so intense, it closed one of the three enormous runways for five days. Dee, Rueckert’s wife, found out by telegraph that her husband had been killed. She was understandably devastated as were the two young children, Billy and Dianne. Rueckert’s body was initially buried at Madingley Cemetery, Cambridge, but later he was repatriated and buried in the family plot in Illinois. His purple Heart, awarded earlier, has since been donated by his son Billy, to the church at Topcroft, where Rueckert prayed the night before that fatal flight. A plaque also sits in the wall in remembrance of the 668 men who never returned to Hardwick. Rueckert’s name appears in the St Paul’s Cathedral Roll of Honour, on page 365. A recent trail around the museum dedicated to the 93rd BG, the memorial and airfield at Hardwick can be found here.